OPATIJA, street Maršala Tita, apartment surface of 108 sqm, located on the 2nd floor of an old villa, consisting of 2 bedrooms, living room, kitchen, hallway and 2 bathrooms, and 2 balconies with beautiful sea view. 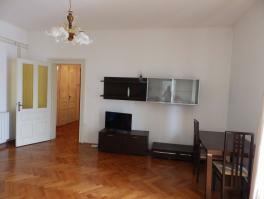 By the apartment is located a studio apartment of 15 sqm which is in the price. Unique location in the city center and only few meters from the sea and the seaside promenade Lungomare!